In general, this pet (along with the Ghostly Skull) seems to be the fallback for other, less attainable,0 Undeads. Don’t have an Unborn Valkyr? Use a Ghostly Skull! Don’t have a Crawling Claw? Try the Creepy Crate! 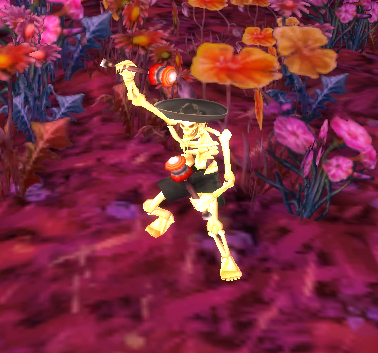 While he may be second choice in a lot of battling situations, he has extremely unique animations and a seasonal questline to pursue. And, he’s one of the very, very few pets not acquired by capture which isn’t cageable, so if you want one your only option is to complete the questline during Hallow’s Eve. Go to the AH and buy 2 Strange Dust right now, before somebody buys them all up and lists them for 500g a pop! I’ll wait. Aw, somebody already did? It, um, it might have been me. Sorry. Well, not really. Find a lowbie enchanter friend who doesn’t know any better or something and come on back. 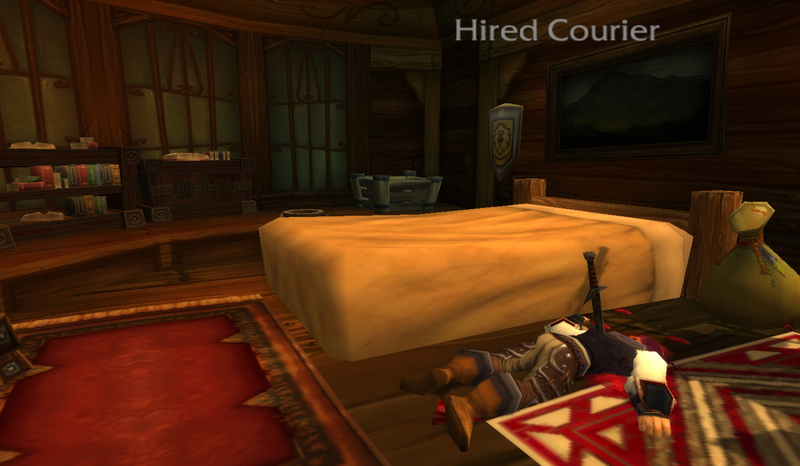 The quest starts at the main inn in your capital city, either the one where Gamon always got creamed in Orgrimmar or the one in the Trade district in Stormwind. You’re directed to find a courier in the harbor of each city. He’s fairly dead. 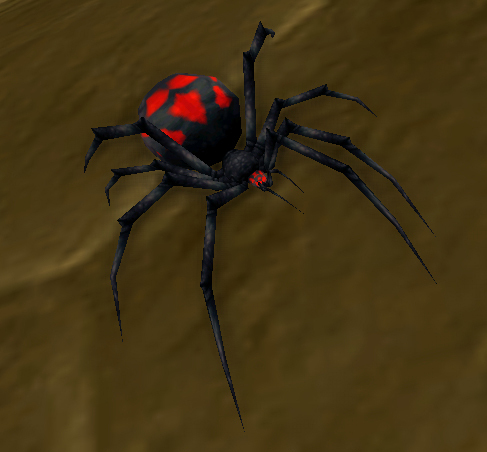 Disgustingly, you’re directed to follow a trail of bright pink glowing spiders to the auctioneer who fenced the goods stolen off the courier after he was murdered. That auctioneer didn’t actually take the goods though, so you’re directed to somebody else in a shady part of town, again via spider trail. The quest giver who awaits you sends you to go get stuff to make a potion to protect you from the box, because boxes are dangerous sometimes. This is where that strange dust I mentioned earlier comes in. You need to visit a vendor for some vials. 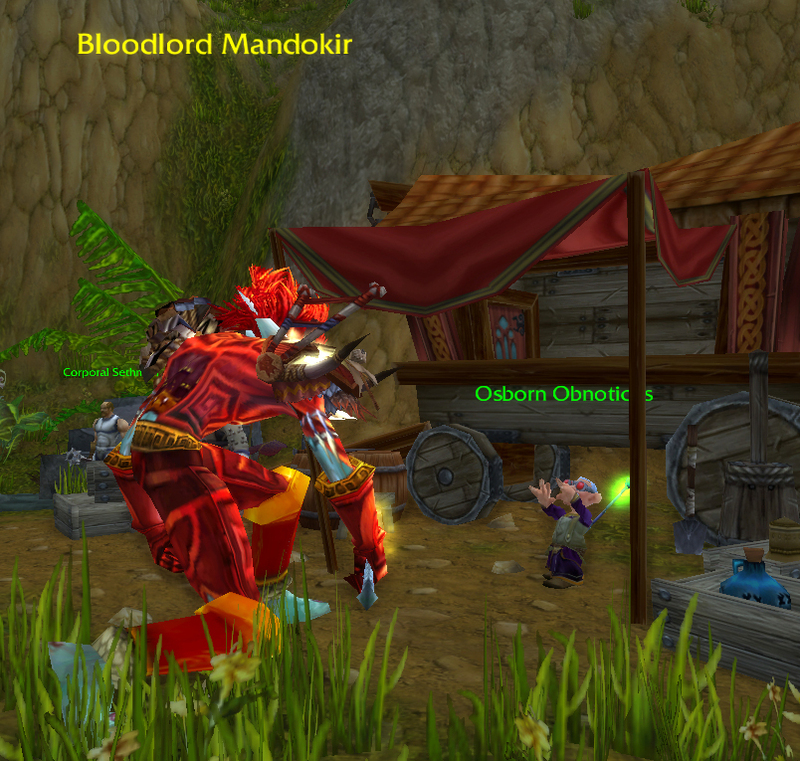 If you have a mount with vendors, you can buy the vials there. 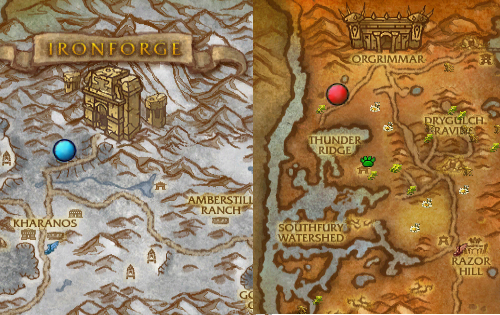 You also need to head to either the Tauren area in Orgrimmar or the farm sort of near the Cataclysm portals in Stormwind to gather the quest herbs. After creating the potion, it’s time for the showdown. 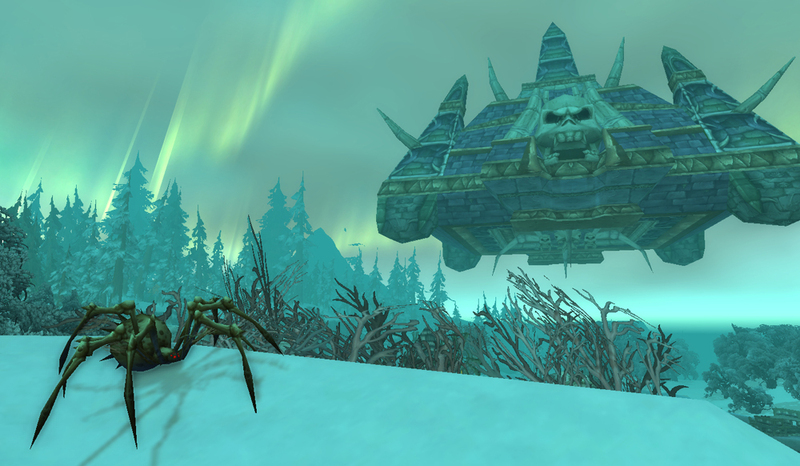 Horde hop the Zeppelin to Undercity and have a confrontation in the ruins of Lordaeron. 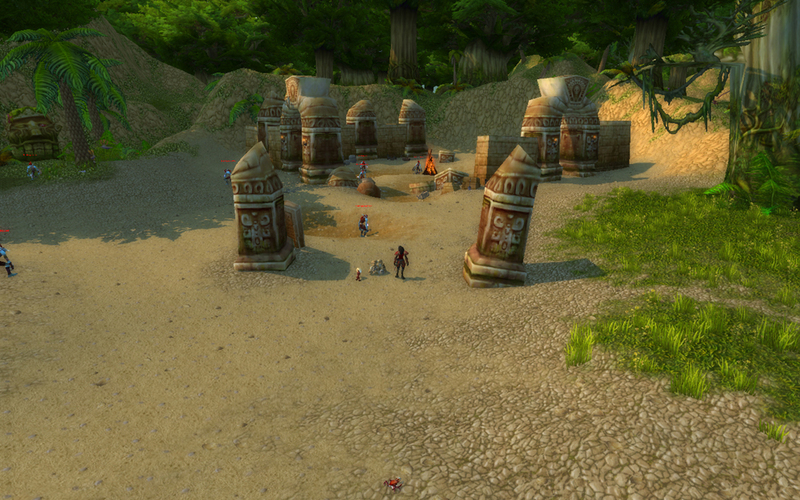 Alliance go to the Cathedral of Light, into the catacombs on the right hand side. 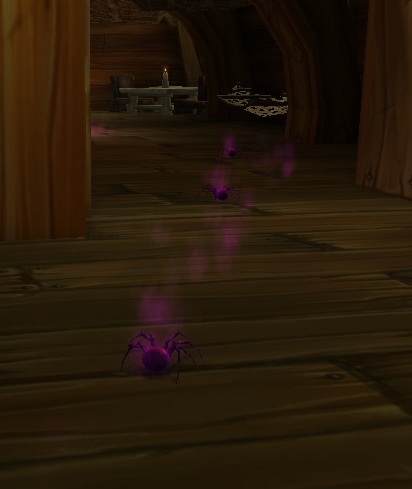 There will be another path of purple spiders, so if you get lost backtrack to the point you last saw them and follow them. 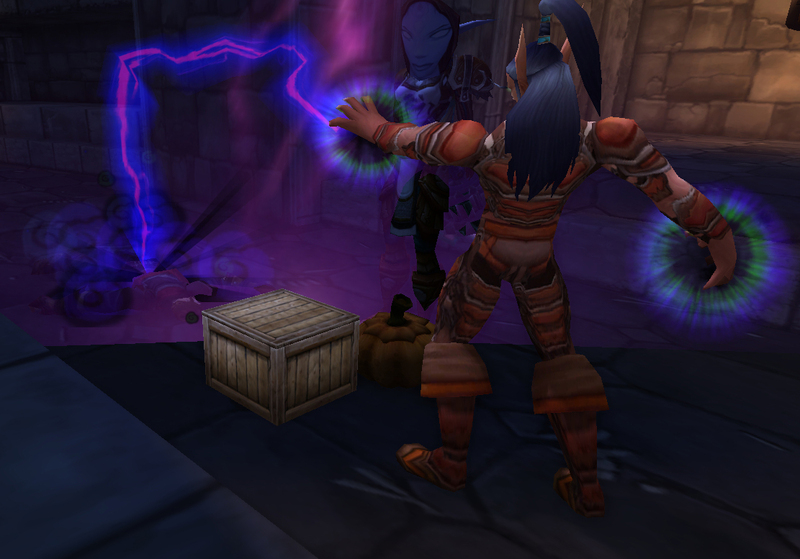 There will be an NPC there, channeling a purple looking thing while standing over a crate. 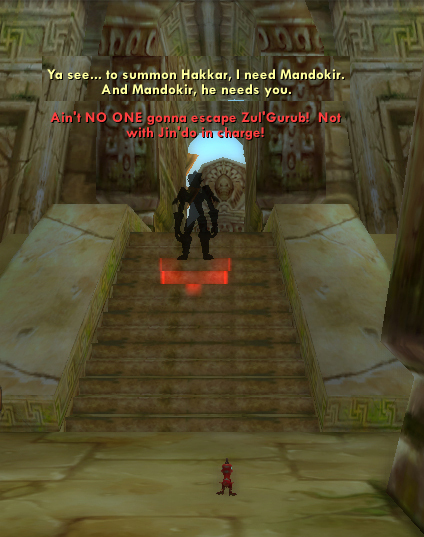 If you’re on a high-pop server, you may need to wait for ‘the confrontation’. 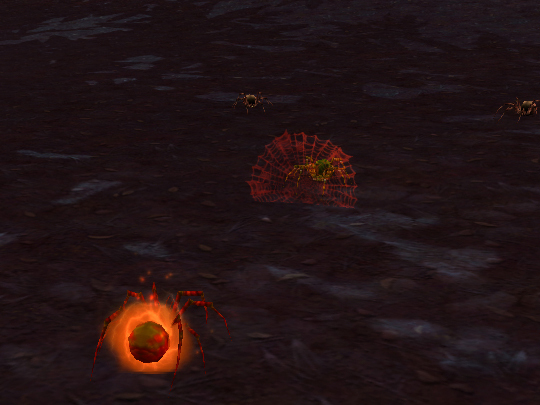 Eventually he spawns 2 voidwalkers, and as long as you get an attack in on one or the other the quest should complete. After this, you have to make one last choice. 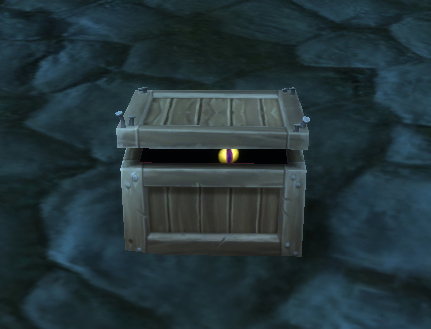 If this is the first time you’re running through I won’t spoil it for you, because regardless of that choice, you’re then left with the Creepy Crate. 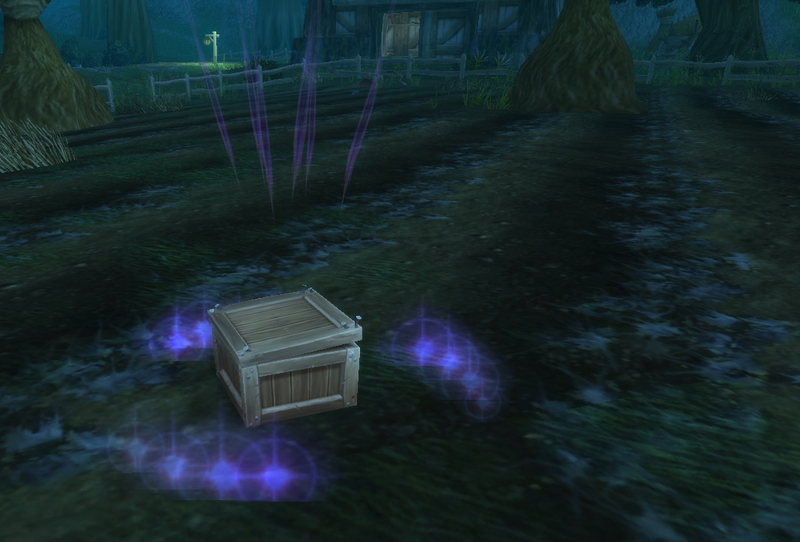 As noted above, the Crate is sort of a fallback pet. 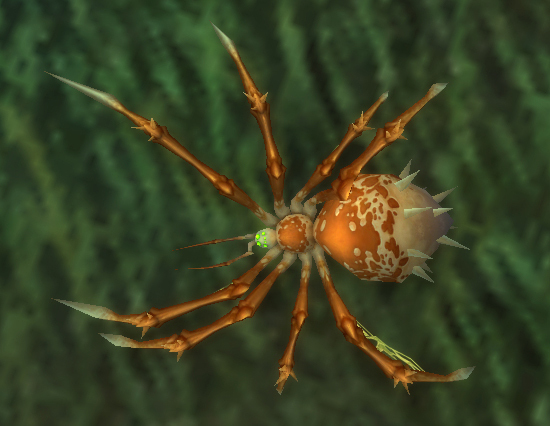 For force swaps, its health breed makes it slightly less useful than the speedy Bone Spider, and its Curse of Doom shares a slot with its Death Grip, making it a bit less deadly than the Crawling Claw on a force swap team. 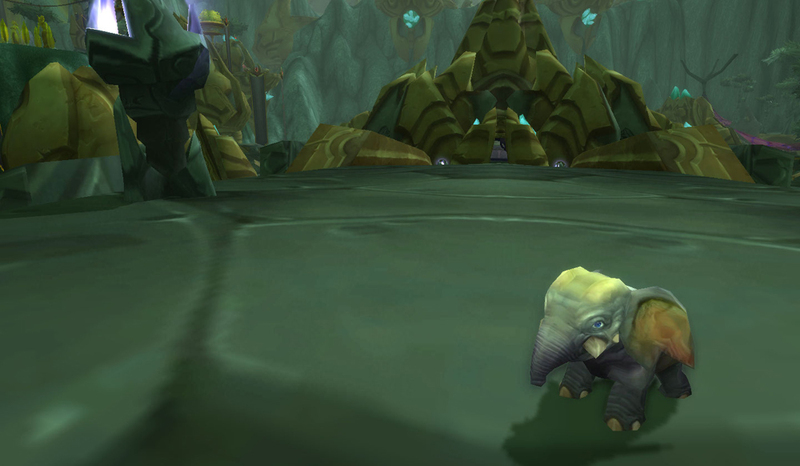 Its Curse of Doom hits for far less than many other pets, and with its only heal being Devour it isn’t so hot as a tank pet. Its most unique ability, BONESTORM, doesn’t help its position as a tank either. On a 3-round cooldown, you can use bon–excuse me–BONESTORM to deal 200 damage to the entire enemy team, but only by sacrificing 10% of your total health. The other thing it shares with the Ghostly Skull is, when you acquire it, it starts off as Uncommon. 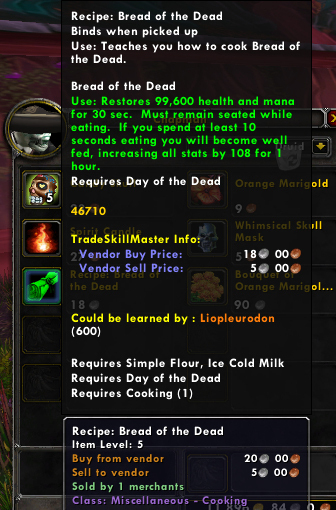 Because it’s untradeable as well, you will want to save an undead upgrade stone if you intend to use him full-time. 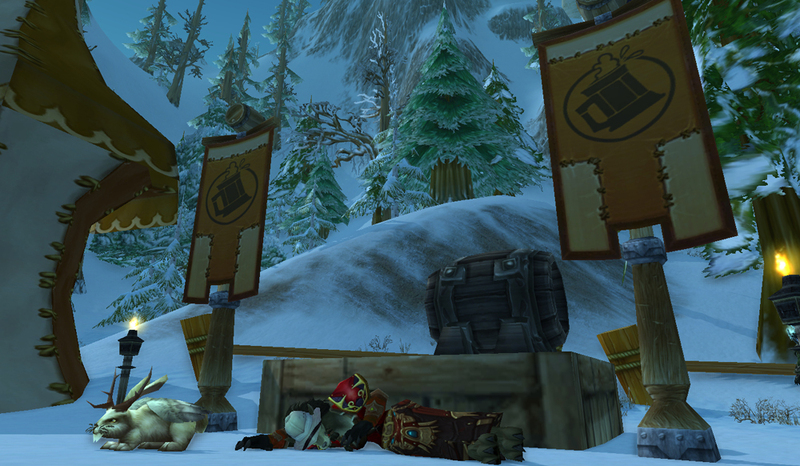 The Crate doesn’t take this second-class citizen stuff lying down. 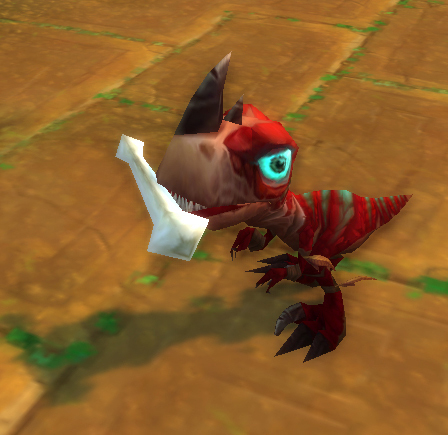 In its jealousy and the insatiable hunger the quest warned you about, it will frequently use its Death Grip ability as a companion pet to eat other critters roaming around. When it does, each pet consumed by your crate will count toward Crittergeddon. 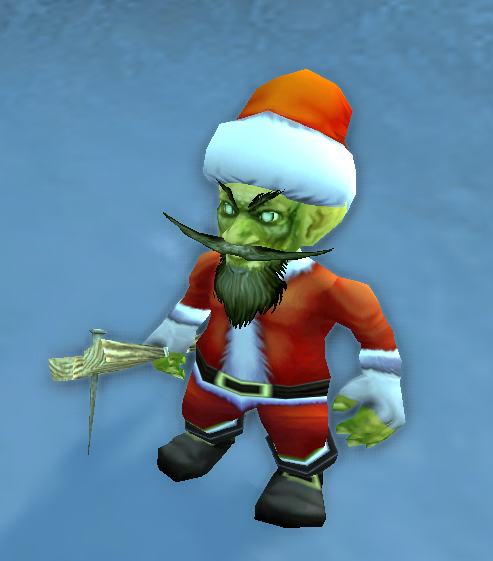 This entry was posted in pet profile and tagged holiday, quested, undead, untradeable on October 20, 2013 by Liopleurodon. It’s that time of year again. For 2 weeks the blog is about to get real incoherent as I get plastered on rich German Beer and don’t really eat anything other than soft pretzels. 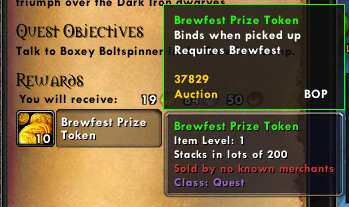 It’s Brewfest time! 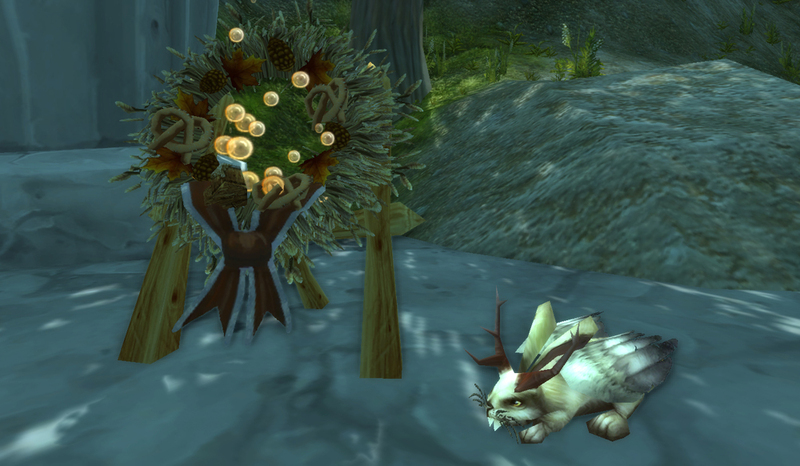 One of the very first seasonal pets, most veteran players will have a wolpertinger or 5 hanging out in their logs. It’s a critter, and starts off Uncommon, so for most battlers that’s where they’ll stay. He’s a fairly decent pet, though. 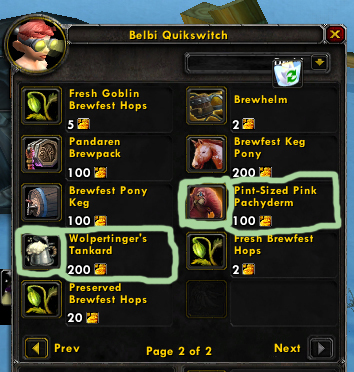 There are 2 ways to get the Wolpertinger. 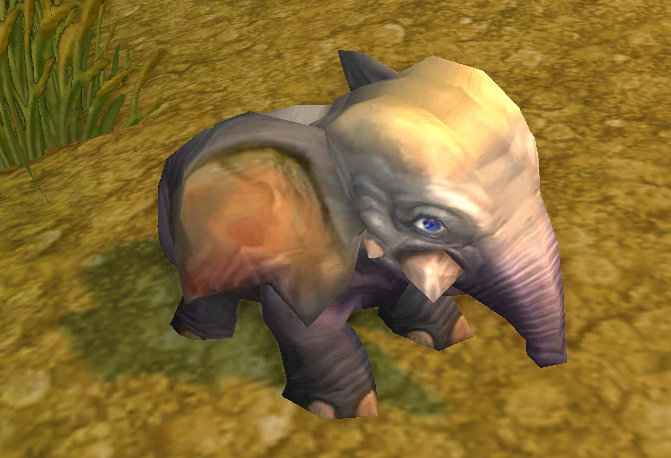 The first way you can also employ to get another holiday pet, the Pink Pachyderm. 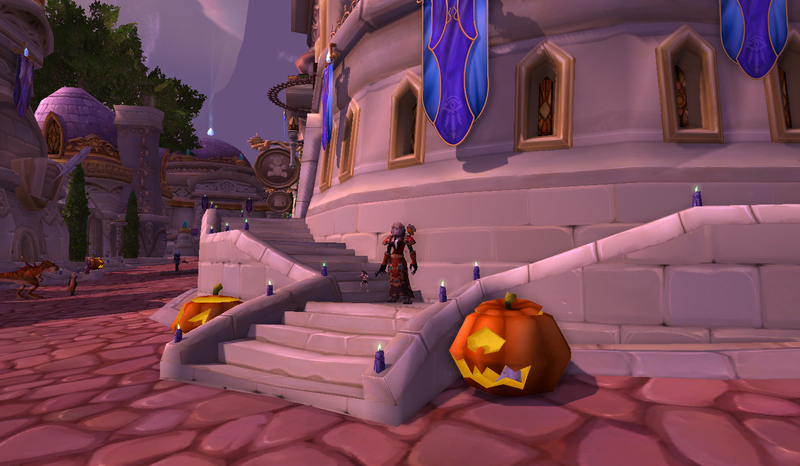 Every day there are many repeatable quests you can do to earn holiday currency, as well as a few one-time quests, basically there to show you how to do the dailies. Ram racing, repelling invaders, all kinds of shenanigans. This currency isn’t a technical ‘currency’ found in your Currency tab, though. It’s an item which takes up bag space. 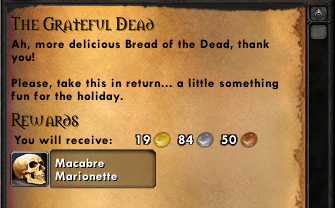 You can use this currency to buy either of the holiday pets, or any number of other vanity items. The two pets are (clumsily) highlighted here. You might notice the Wolpertinger is quite a bit more expensive than the Pachyderm. Luckily, there’s another method for obtaining that tankard. 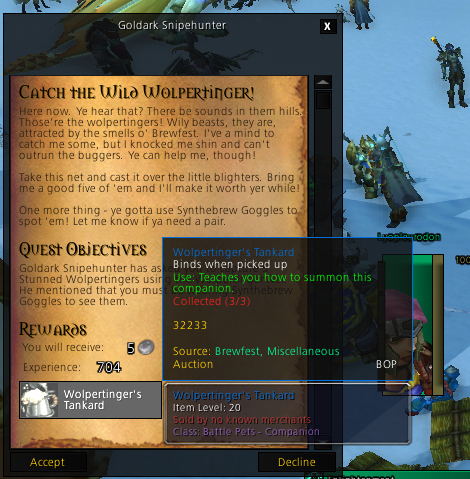 You can do this quest with any level character, and it’s relatively simple, though if your cross-realm is rather populated you may want to try & snag it at off-hours, or save it until later in the holiday so there’s less competition for the wild wolpertingers. 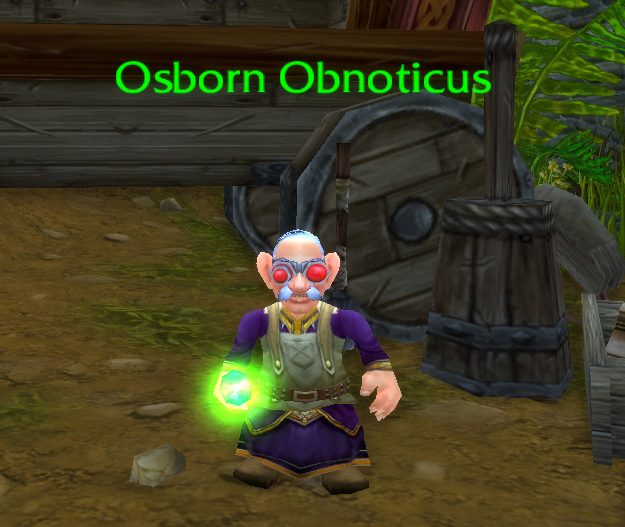 Unless you fiddle with your video settings, it’s already a difficult quest, since the Synthebrew Goggles make it really hard to see anything. Because you’re drunk. Get it? The wolpertinger itself is a somewhat odd mix of abilities. It’s the only Critter with a strong offensive Dragonkin nuke in Sleeping Gas, though there aren’t a ton of opponents where that combo is particularly useful. 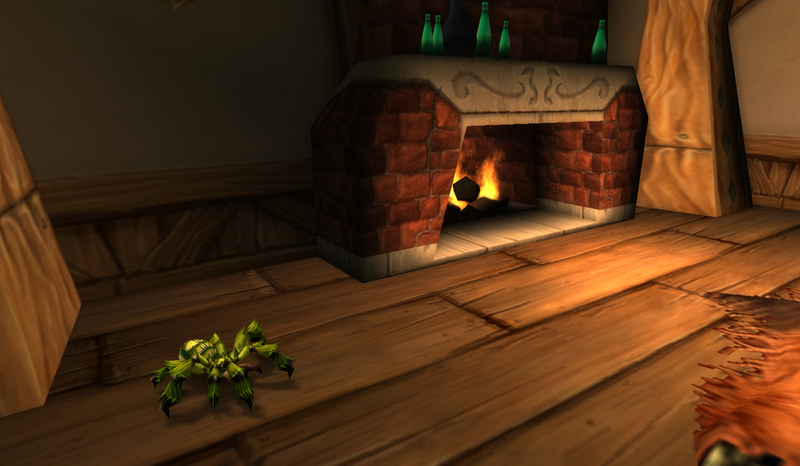 Sleeping Gas shares a slot with Fly By, one of the easier to use damage debuffs in the minigame, and this pet can use it starting at a relatively quite low level. He also starts off with the utilitarian critter Scratch. The Wolpertinger rounds out his moveset with Beast abilities. Rampage is alright if combined with that Fly By debuff, but is fairly mediocre for the 3 round tradeoff. By contrast, Headbutt is fairly stellar, and has a chance to stun. Horn Attack is his last move. It’s an alright move, but the Wolpertinger is relatively slow, making his RNG-unfriendly stun a near impossibility, especially in PVP, where speedy pets are king. As you level he gets relatively worse and worse, but he’s a very solid choice for an early team. Just not early as in, in the morning, as in I really wasn’t kidding about that beer. 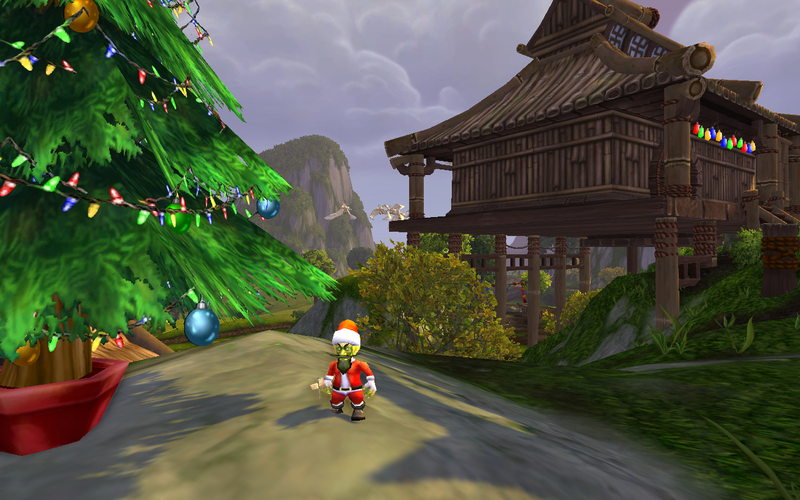 This entry was posted in pet profile and tagged auctionable, critter, holiday, quested on September 22, 2013 by Liopleurodon. 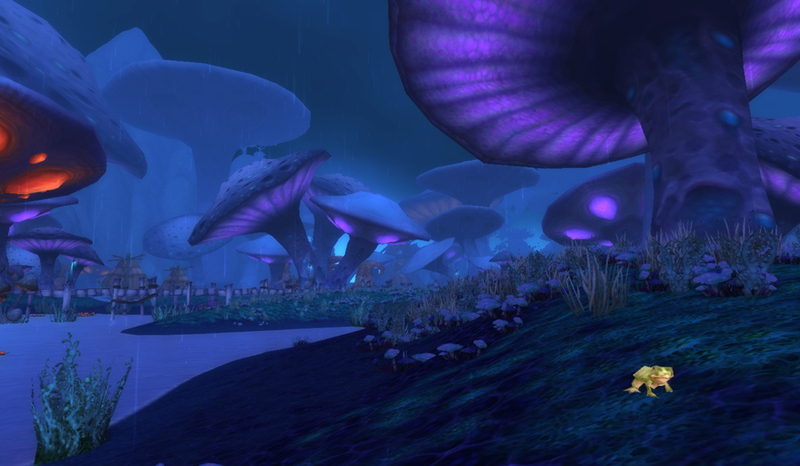 After 8 years of World of Warcraft, there is a certain amount of nostalgia people have for the game. 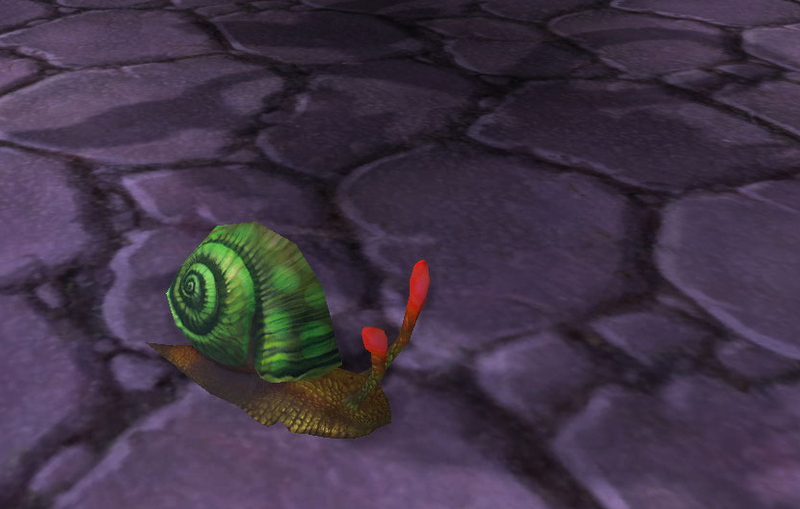 Now that we’ve returned from Outland, now that we’ve crushed the Lich King, now that we’ve lived through the Cataclysm and Deathwing’s fall, there are very few things which have remained constant through the years and continue on as a touchstone of what the game once was. For some people, that constant is their character. This is not the case for me. 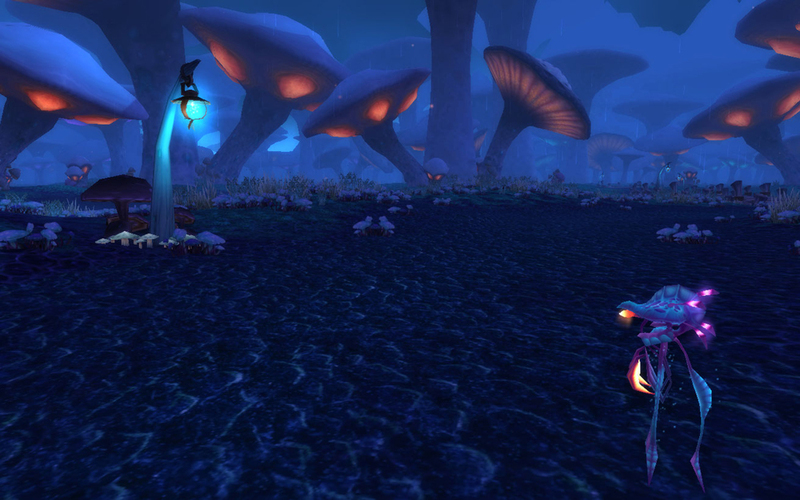 I started off as a priest, then made my way to a badass pvp hunter, turned over a new leaf as a mage, and then rerolled as a druid, with lots of alts peppered in between. 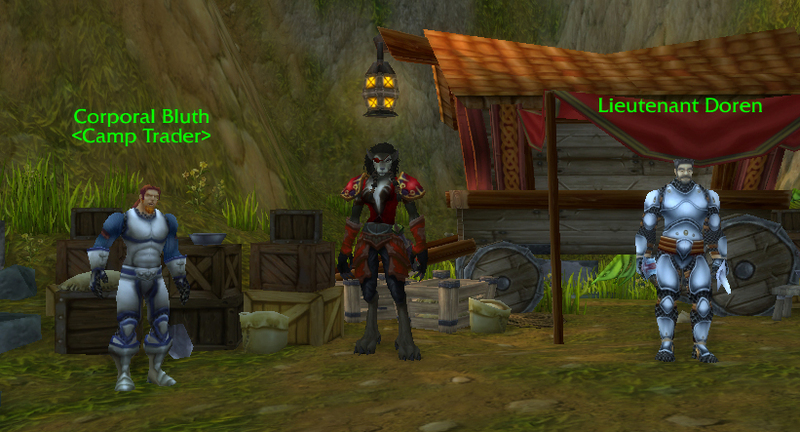 Even now Blizzard is making a concerted effort even to change these characters with upgraded models and graphics. 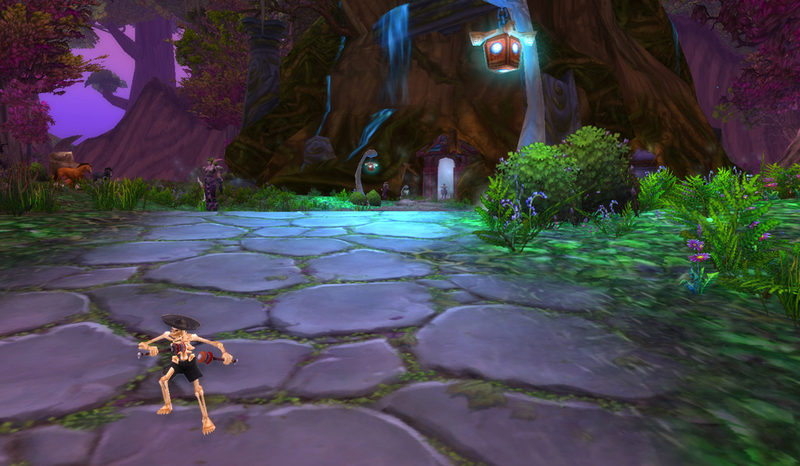 It is definitely time for an upgrade to these graphics, but it just adds to the growing feeling of impermanence. For some people, the constant is their guild. 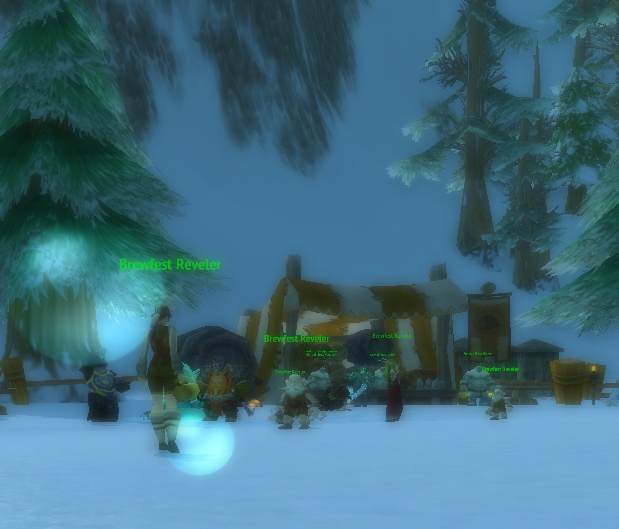 I’m in a guild right now which actually is several iterations removed from my very first guild in vanilla. There were so many stops, schisms and gquits the guild today is barely recognizable as the one I joined in November of 2004. There are very, very few guilds left today with a charter that old. Even the world we knew has changed with the Cataclysm. 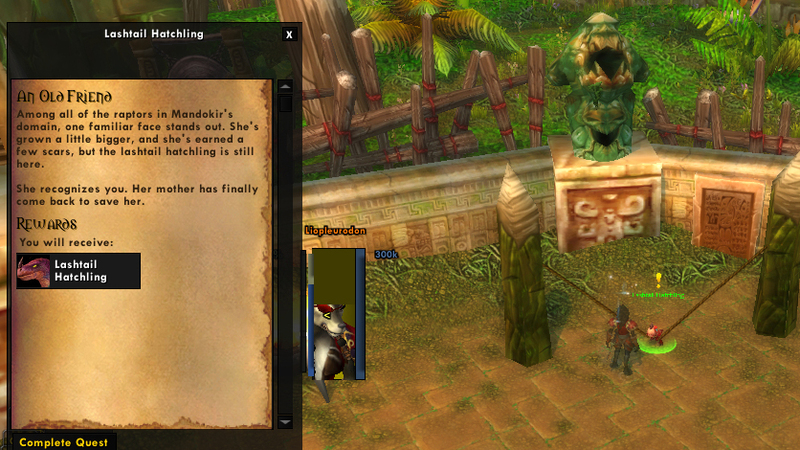 Mankrik’s Wife has received a loving, proper burial, and the bridge in Redridge has reached its completion. 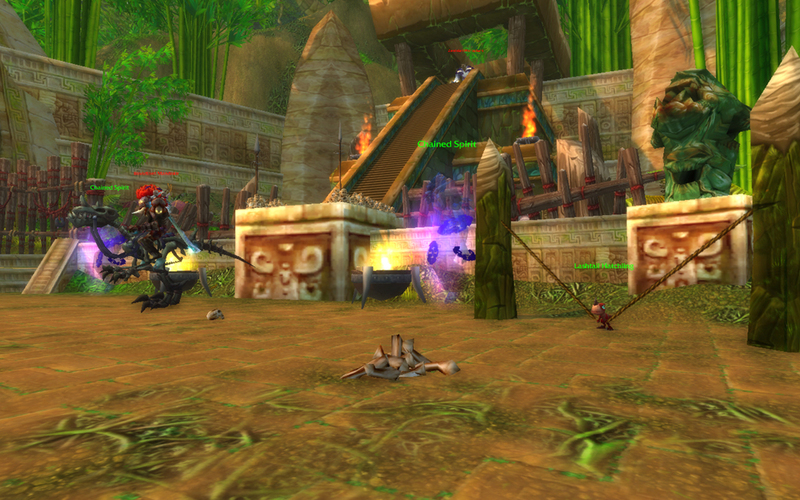 NPCs have moved, rep grinds have changed, items have been removed. I still have the tea with sugar given to me by poor little Pamela Redpath. Though she remains trapped in the same long, tragic unlife as when I first visited her in early 2005, my tea with sugar has changed to sweet tea. I haven’t lived in the American South for terribly long but dude, those are not even close to the same thing. But, there is one thing that has remained the same. One thing that binds us all, regardless of faction. One constant through the turmoil that has been our lives, in-game and out. 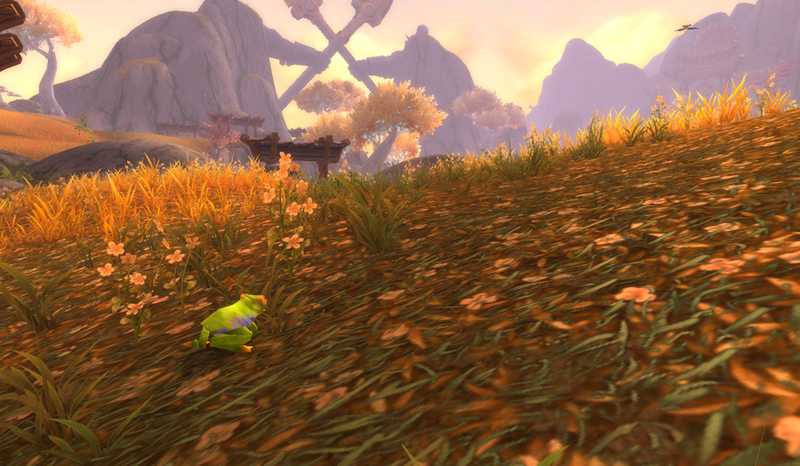 Low texture frogs accompanied us to the alien landscape of Outland and frozen tundra of Northrend. 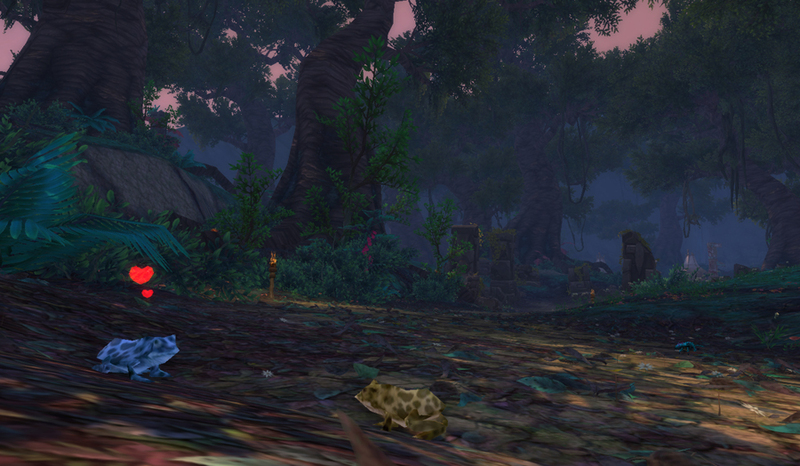 Low texture frogs survived the Cataclysm. 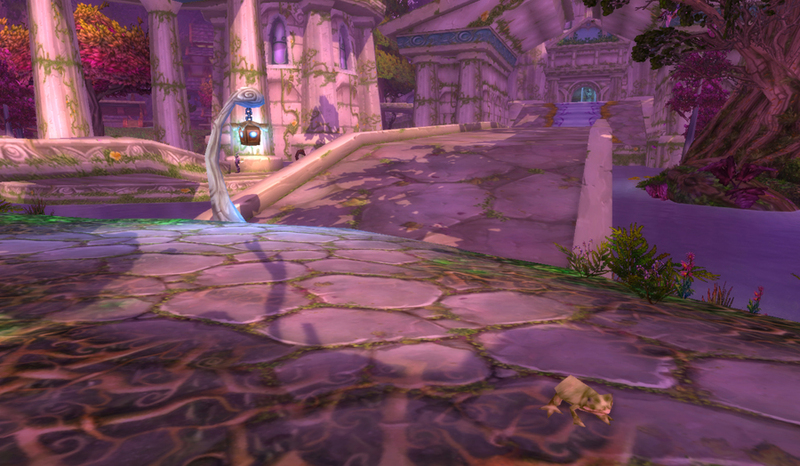 Even now low texture frogs live in our very cities. 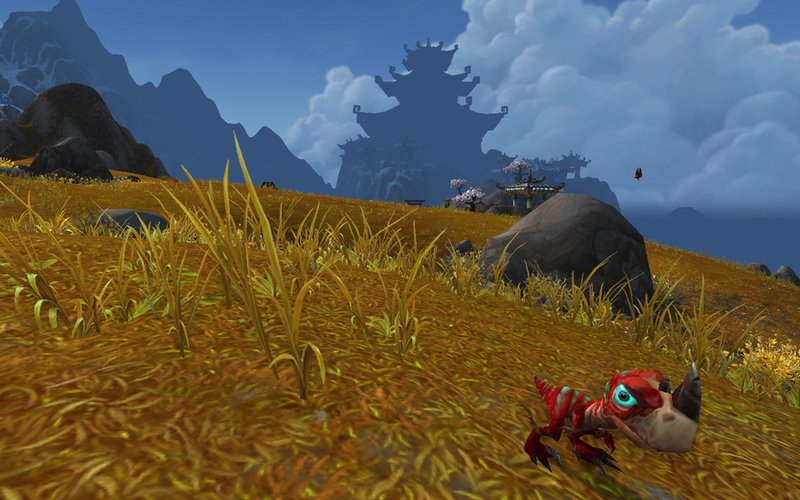 When we landed on Pandaria’s rocky, inhospitable shores, low texture frogs were there to greet us, and low texture frogs entered the Vale of Eternal Summer before we did too. 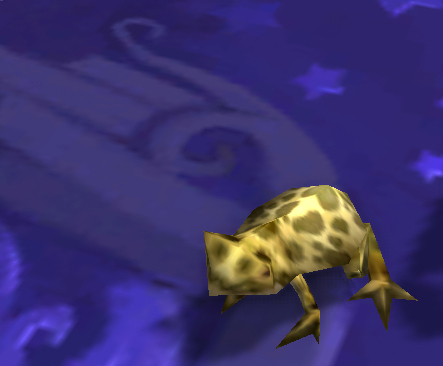 There are currently 18 pets in-game that use the low texture frog model. Some are hard to get, like Mojo. Some aren’t tradeable or trappable, like the Jubling. The Lifelike Toad is a mechanical. They all share a moveset, so I have to also mention the Horny Toad, which has the same moves but looks like a lizard and isn’t really low texture. 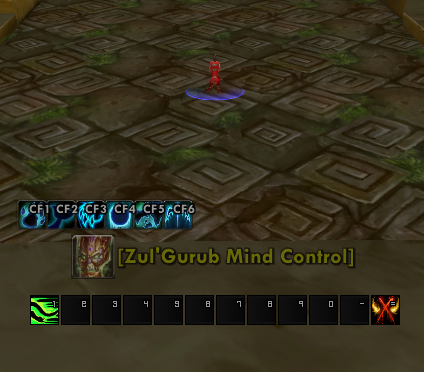 The tooltip reflects this too. Low texture frogs have a unique move called Frog Kiss, which has a chance on hit to turn your victim into a frog, taking them out of action for a turn. It also increases your damage done with each hit, much like Arcane Blast, and can ramp up into a powerful nuke. 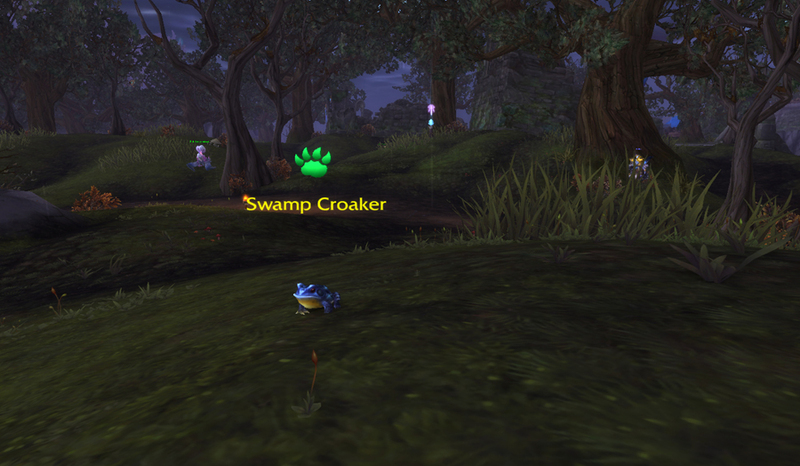 Frogs also have the option for a good single-turn self heal, or a weak AOE heal with a weather component. Their abilities are rounded out with a DoT that persists through pet swaps and the no-frills aquatic ability Water Jet. The one variant is that the Lifelike Toad replaces the DoT with the mechanical heal Repair, giving him a whole lot of healing power. I’ve really enjoyed using them in low-level pvp. The large heal plus Frog Kiss makes them a force to be reckoned with, even up against one of those teams where they try to cheese the level gap to win. They don’t really translate well into higher-level PVP though. 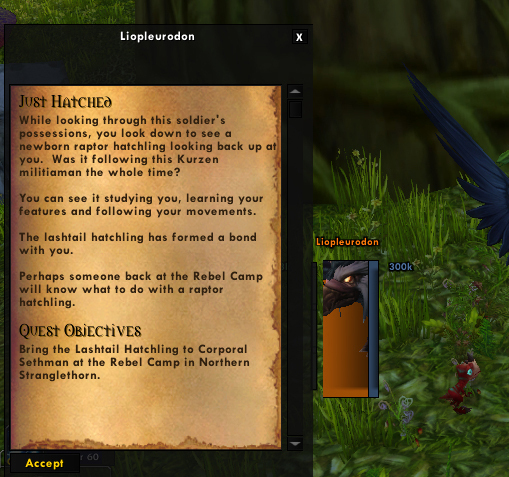 I’ve also been using one as a workhorse while I tame new pets and level old ones (I really like AOE heals for that). 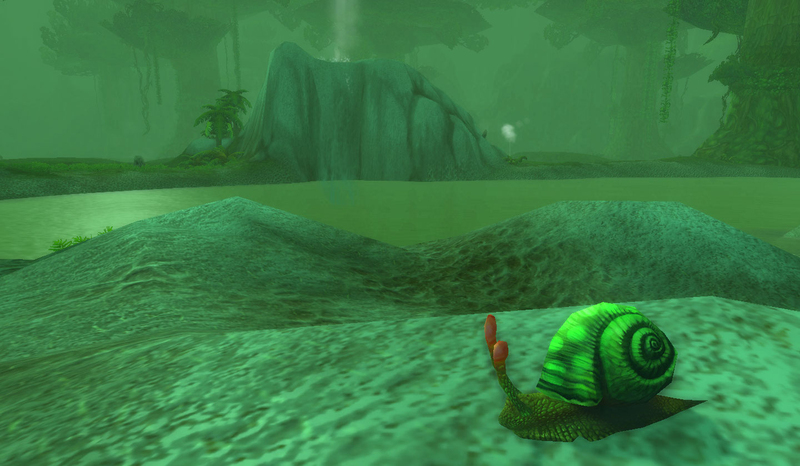 This entry was posted in pet profile and tagged aquatic, auctionable, quested, tamed on May 8, 2013 by Liopleurodon.